Mark Nicholson kicked off his trumpet career as a member of the summer jazz studies at The Eastman School of Music in Rochester, New York. He later would graduate from Ithaca College, Ithaca, N.Y. with a Bachelors Degree in Music Education and Performance. He also holds a Masters of Science degree in Educational Administration from National University, San Diego CA. He has shared the stage with such notable artists as Pete Christleib, New York Voices, Eric Marienthal, Bernie Dresel, Gary Puckett, Bill Acosta, Shirley Jones, Harry Connick, Sr, just to name a few. He has also played in the trumpet section of The Cab Calloway Orchestra and The Nelson Riddle Orchestra. 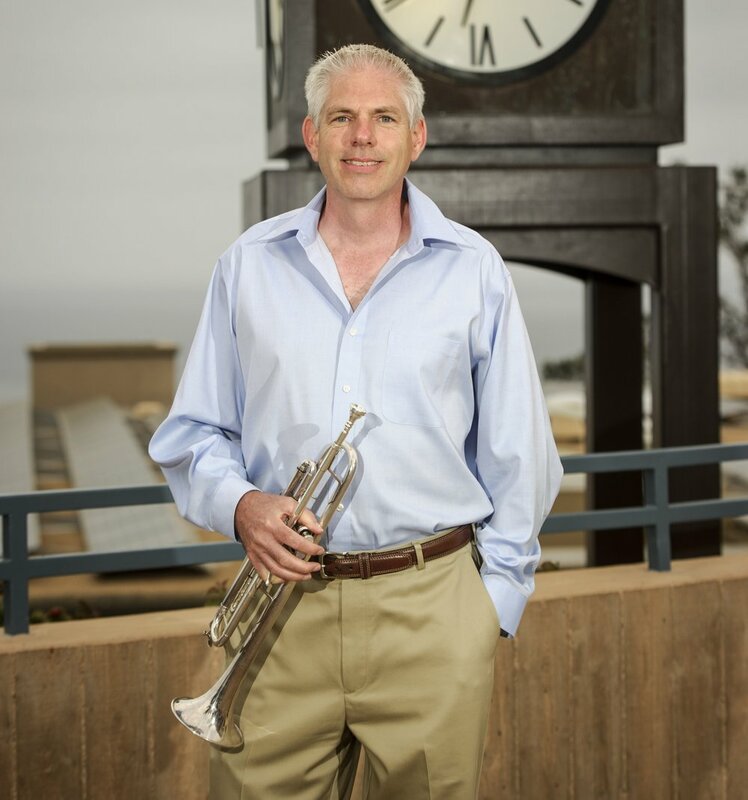 Presently, Mark is the Music Supervisor for the San Diego Unified School District where he is directly responsible for coordination in over 160 schools for standards based music curriculum to students K-12.